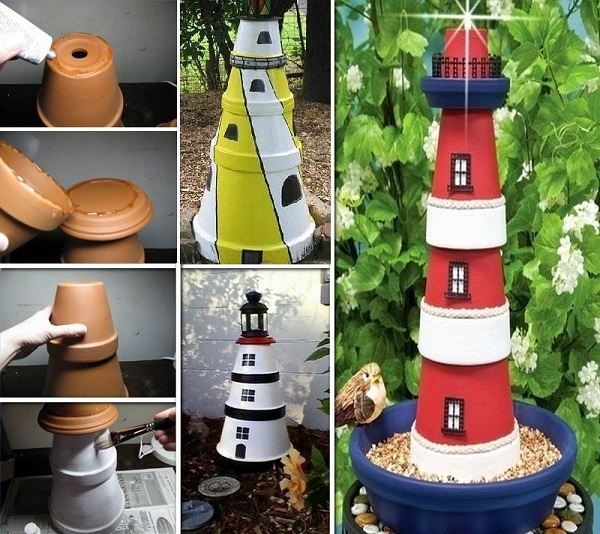 You don’t have to work too hard to give your garden a great new look, check out this DIY project – a creative clay pot lighthouse that you can work as a green hand. You can place a plate on top as bird feeder, too. Once the pots are joined together, it’s up to you how classic or creative you decide to go with the colors of your choosing. From reds to blues to blacks to green to whites and so many more, pretty much anything goes when it comes to creating something that’s 100% unique to your garden alone! Clay pots serve a million and one purposes in the garden! It’s so easy, affordable and enjoyable that you can get the kids involved in crafting, or perhaps have a group of friends chip in for an even faster result! 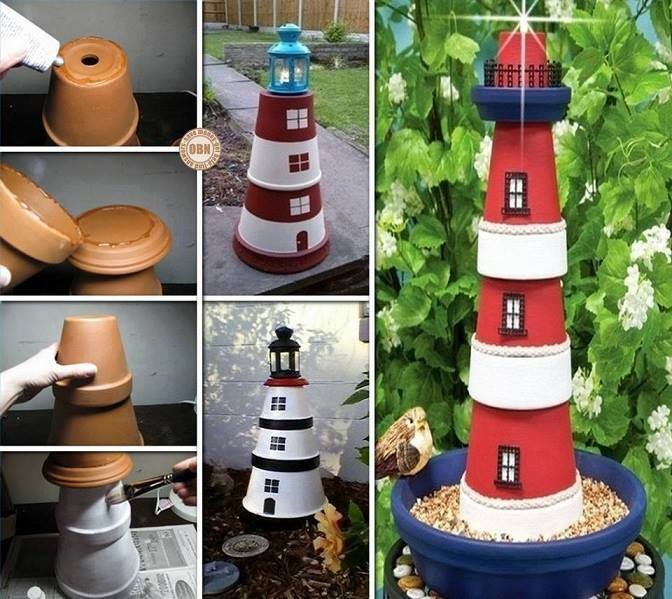 This classic red and white lighthouse design is universally suitable for any outdoor living space and cannot fail to brighten up your garden. 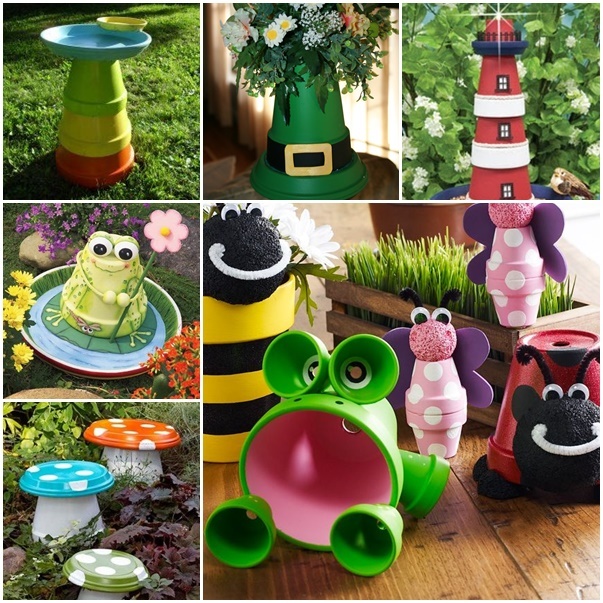 Or You can beautify the whole garden with clay pots projects.